How do I apply for a green card for my spouse? If you and your spouse both live within the U.S. and the foreign national spouse entered legally on a visa or parole, you can apply for an adjustment of status through Form I-485, filed together with the Form I-130. If your spouse lives outside the country, or if you both reside outside the country, you may need to use Form I-130, followed by consular processing. If your spouse lives outside the country, he or she may be required to attend an interview at the U.S. consulate in his or her home country. Every case is different, so call us for a consultation to see which works best for you! How long do I have to wait after I marry my spouse to apply for a green card for him or her? You don’t have to wait any time period at all. As soon as you are married, you can begin the marriage-based green card process. You may also be able to bring your fiancé into the country on a fiancé visa and marry in the US, but that also has a significant processing time. What is the difference between “conditional resident” and “permanent resident”? You can only receive your permanent residency or green card after you have been married to your spouse for two years. If you have been married for less than this time when initially approved for residence, you will receive a conditional resident card, and will need to submit a form to remove this condition within 90 days of the end of the two years. Again, there are lots of variations to this, so call Kuck Baxter Immigration for an appointment. What documents will I need to submit to get a marriage-based green card? You’ll need to submit the appropriate forms. (Which forms you’ll need to submit will depend on your circumstances). If you have questions about the forms, consider speaking to Kuck Baxter Immigration, marriage-based green card lawyers in Atlanta, Georgia. You’ll also need to submit passport style photographs, government-issued identification, copies of birth certificates, documents that show your lawful presence in the U.S. (non-immigrant visa, arrival or departure records), medical examination reports, and any other required documentation (which can vary depending on your situation). Kuck Baxter Immigration are marriage-based immigration lawyers in Atlanta who can help you understand the documents you’ll need and help you gather all evidence you might need to complete your marriage-based visa application. When will the interview be scheduled? After USCIS receives all documents, the next step will be for USCIS (or the consulate) to schedule your interview. It can take some time before your interview date is set. In recent months, the wait times have been increasing due to increased workloads at USCIS, and intentional slowing down of processing by the current administration. In the meantime, your spouse can receive a temporary work visa to work while USCIS processes your application and sets the interview date. What will take place during the interview? Immigration officers may ask you a range of questions about your relationship. Kuck Baxter Immigration are marriage-based green card lawyers who can help you go over the kinds of questions you might encounter during the interview. What happens if my marriage-based green card is denied? You may have the right to appeal the decision. If you are being asked to attend a second interview, it would be wise to speak to the immigration lawyers in Atlanta, Georgia at Kuck Baxter Immigration. How do I prove my marriage is “bona fide”? Immigration officers will want to see proof that your marriage is legitimate. In addition to providing your marriage certificate, you’ll also want to provide proof that you live with your partner, bank statements that show that you share the same bank account, and also letters from friends or family stating that your marriage is legitimate. What could impact my ability to get a marriage-based green card? If your spouse is deemed inadmissible to the U.S. for any reason, this can impact his or her ability to get a green card. If your spouse illegally entered the U.S. or overstayed a visa, applying for a marriage-based green card could trigger deportation proceedings. 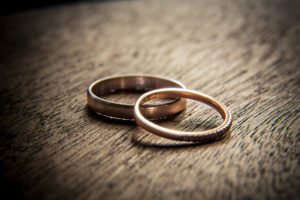 Individuals with certain criminal records may also not qualify for a marriage-based green card as might some individuals with certain health conditions. If you have questions about whether you qualify for a marriage-based green card, consider speaking to Kuck Baxter Immigration in Atlanta, Georgia today. If you are planning to apply for a green card for your spouse or are looking to receive a marriage-based green card, speak to Kuck Baxter Immigration in Atlanta, Georgia. We can review your case, help you submit all documents, prepare you for your interview, and work with you to get your case processed as quickly as possible. Contact our firm today to learn more.